Yes, in August I poured these painting. Yes, in November I finally pour resin over these paintings. Now, they are ready to be hung or given away as gifts. No, I am not giving them away. I did not realize that this painting appears to flow towards the center, until I took a picture of it. 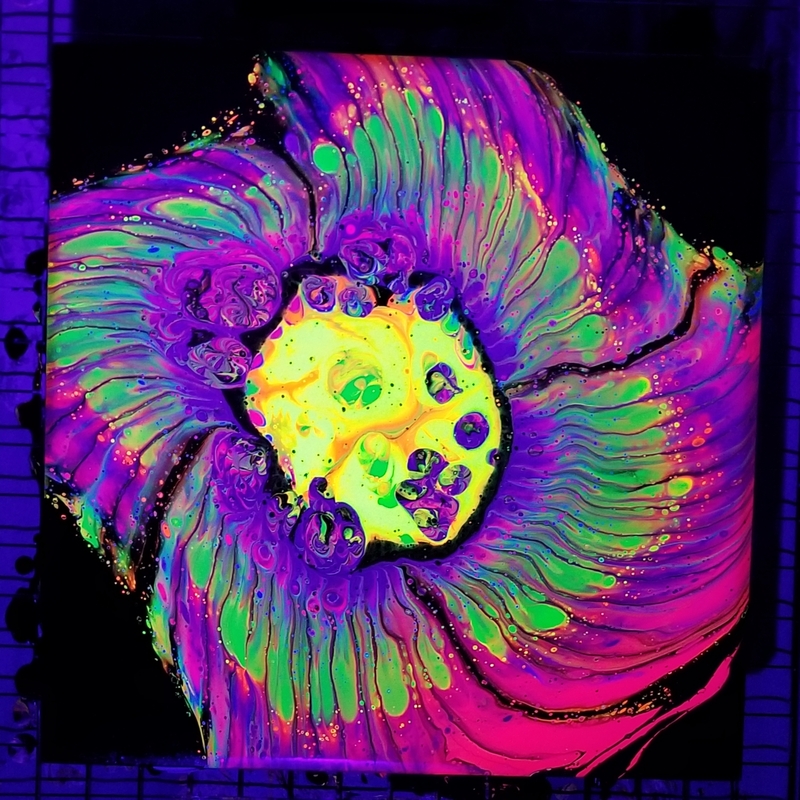 This painting look awesome under a black light. See..
And, this painting looks like it could be a fish. Amazing how beautiful and unique each one is. The last one reminds me of the surf and foam when the tide is receding. Someone is going to be very lucky to receive any of these for a gift. Beautiful.